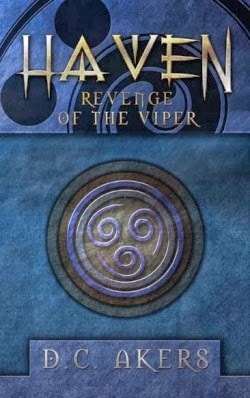 Click here for my review of the first book of the Haven series and check out this post here for some initial and unedited responses to Revenge of the Viper. Before I get into the real meat of this review, can we just take a minute to acknowledge that Travis is my spirit animal? My friends have claimed it is a Koala, but after reading these quotations straight from his mouth (er, pages? ), I think you shall agree with me on this matter. For the record, Alisa Dalcolme is a boss of magical proportions and totally deserving of the title "Jedi Knight." Cool, now that we've established that, feel all the love for Travis for calling it like it is through the use of Star Wars references. So, yes, another reference. but what makes me feel all warm and fuzzy over this one is that he's talking to the girl he has a crush on (more on this later!) and still just so proud of his geekiness! He is unashamedly and unironically enthusiastic about what he likes, and it just makes me happy okay? I legitimately laughed out loud at this point! Mostly because it is exactly how I'd respond to learning about aliens... well, that or Doctor Who, don't ask me to choose. Despite my affinity for Travis's particular brand of statements, Sam does say it best, "Magic is awesome!" Simple, but effective. I'm a fan. My overall impression of this book is as positive as can be! D.C. Akers really develops his characters and the plot line. New characters are introduced in addition to readers' deepening understanding of and empathy for Sam, Sarah, and my boy Travis. Not only are these characters new, they are straight up ALIEN! As in, from outer space. As in, from a magical planet that you need to travel through portals to get to. As in, said magical planet is inhabited by a multitude of different species of mythical beings. There's even a nod to the Salem witch trials, a period of history that I find particularly fascinating ...and woah, I'm getting ahead of myself. Basically, D.C.Akers strikes the perfect balance between development of characters from the first book and introduction of new people/places/things to move the plot at a page-turning pace. Plus, this plot is a gosh darn roller coaster of action and emotion. So much happens, and I pretty much just clutched my heart and prayed that the characters I grew to love would make it out alive (not all of them did. That is the extent of spoilers I will give you). Something that made me practically giddy was the resolution of a slight issue I'd had with A Stranger Magic- the influx of new aliens (some over 100 years old!) means that the average age of the individuals involved is much closer to my own! With this increase in age (and thus experience and knowledge), comes more complex themes (like death. So much death.) and language that make Revenge of the Viper a pleasure to devour for any level reader. At first, there is a rigid juxtaposition of Haven (planet of magic and awesome) and Earth (Dalcome family dwelling of wonderful) but that dichotomy breaks down when the Vipers attack (no, not the Fire Nation). They deserve a paragraph all on their own, because they are terrifying. Also known as, "something that attacks from the shadows with such ferocity you don't even have time to scream before you die" but not really all that well known because "no one had ever lived to tell about it [the attack]"
So, yeah. I'm going to go hide in a well-lit, densely populated area now. Exhibit B: She leaves her entire world behind (AND MAGIC) to protect her kids. PLUS, she works crazy hours and extra shifts to support their family of three. Basically, she sacrifices her whole world and life for them and I have emotions. You win some (Alisa!!! ), you lose some(VIPERS), I guess. So, back to my three favorite little nuggets: Sam, Travis, and Sarah. My positives are much the same as those from my last post. The three characters are exceedingly relatable in different ways, something that becomes even more evident through their varied and equally believable reactions to plot twists and, y'know, aliens. Sam and Travis continue to be the two best friends that anyone could ever have, growing deeper in their friendship as secrets and death pile up around them. Oh, and as they complete chores together. That also brings them closer. 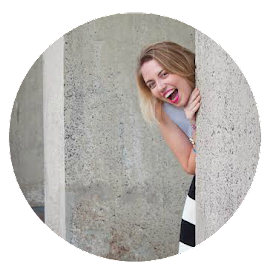 Sarah is still wonderfully sassy and secretly vulnerable. Travis ends up being pretty insightful regarding both of the Dalcome siblings... but I'm still uncertain about how I feel about this (keep reading...). So, negatives. Sarah isn't as sassy and wonderful as she was in book one. Don't get me wrong, she has her moments in the first half. Instead, she's mostly scared and hiding behind the boys or her mother in part two. I get that the protagonist of the series is Sam, and I love that he's developing mysteriously and powerfully, but I'm a fan of strong female characters (a la Momma Dalcome- c'mon girl, you have the perfect role model!). Then there's the whole sibling relationship that I mentioned last time as well. Maybe it's just because I have such a different relationship with my brother, but Sarah and Sam's interactions strike me as somewhat unrealistic. Sure, they fear for one another's lives when the Viper's show up... but is mortal danger seriously the only time you show emotion for your flesh and blood? Plus, there's the whole Travis-has-a-long-standing-crush-on-his-bro's-sister thang, which I am not a fan of (despite how wonderful they both are individually). I would never get involved (even in the earliest of stages) with one of my little brother's friends. Maybe once they're both out of college and the age gap doesn't loom quite so hugely... but at Sarah and Sam's ages, 2 years might as well be 10. So, I'm befuddled. I'm trying not to give too much away, because this installment of the Haven Series is a really quick, well written, and exciting read! There are edge-of-your-seat fight scenes, wicked cool magic, and emotions through the roof... all written engagingly and amazingly. What are you waiting for? Oh, my giveaway? Well, now that this post is all written up and posted out, you shan't have to wait much longer! Check back soon (like super soon)!